When decorating your enchanted baby shower, bridal shower or birthday party, don’t forget the table décor. 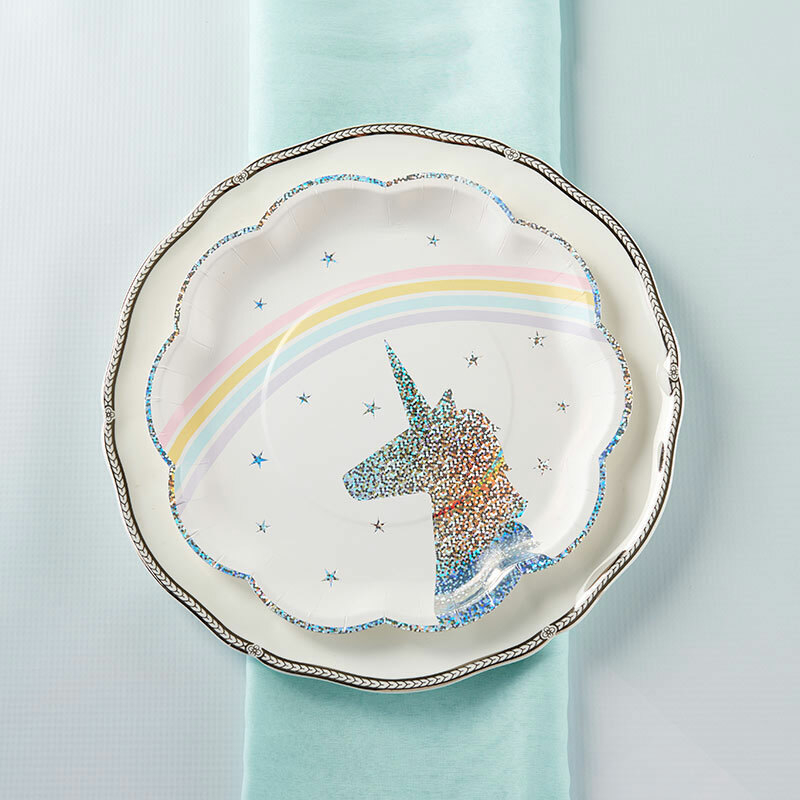 Our Enchanted Unicorn Paper Plates are the perfect way to enjoy delectable appetizers and deliciously sweet cake. 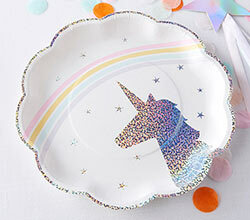 Available in sets of 8, These durable paper plates feature a holographic unicorn and pastel rainbow centerpiece, accented by glittering stars and framed by scalloped edges. 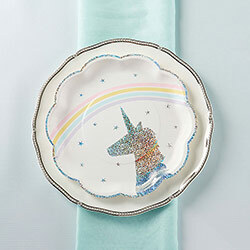 White scalloped edge paper plate with a holographic unicorn on the right center of the plate. 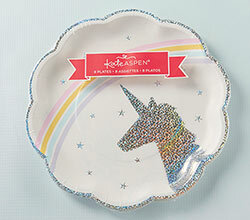 The scalloped edge and stars scattered over the plate are also holographic glitter. 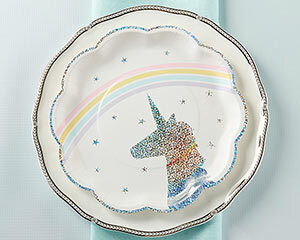 From the left bottom to the right top of the plate is a rainbow in pink, yellow, turquoise and purple.